Sarah Ockler Bakes A New Novel … To Perfection! 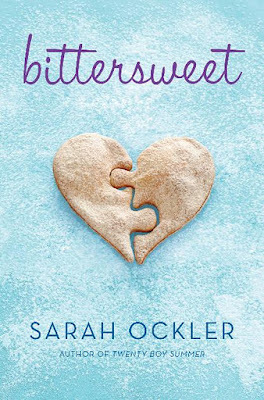 There’s certainly nothing to be “bitter” about now that Sarah Ockler’s latest novel has hit the shelves. With her unique mixture of romance, witty one-liners, and, of course, hopefulness mixed with a dash of heartbreak, Sarah has delivered a confectionary delight-of-a-novel that I am so excited is out in the world. The perfect way to start out 2012! Once upon a time, Hudson knew exactly what her future looked like. Then a betrayal changed her life and knocked her dreams to the ground. Now she’s a girl who doesn’t believe in second chances, a girl who stays under the radar by baking cupcakes at her mom’s diner and obsessing over what might have been. So when things start looking up and she has another shot at her dreams, Hudson is equal parts hopeful and terrified. Of course, this is also the moment a cute, sweet guy walks into her life—and starts serving up some seriously mixed signals. She’s got a lot on her plate, and for a girl who’s been burned before, risking it all is easier said than done. What are you waiting for? Didn’t you see the part about cupcakes? !